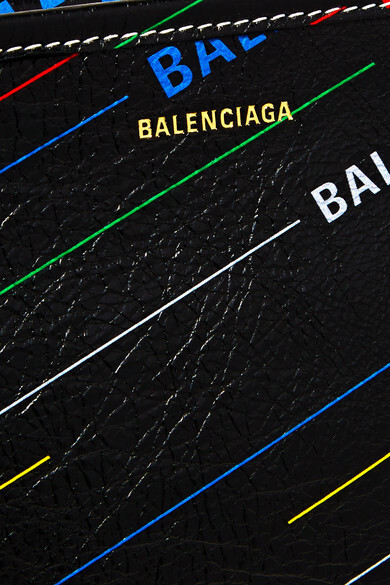 Balenciaga's Demna Gvasalia has found an endless amount of ways to reinterpret the brand's signature logo - one of our favorite iterations is the colorful graphic version featured on this pouch. 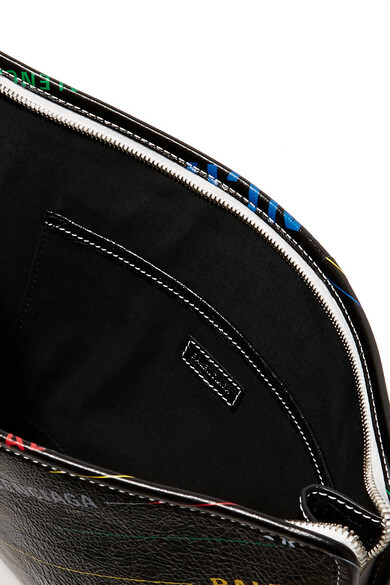 It's crafted from textured-leather and sized to fit just the essentials. 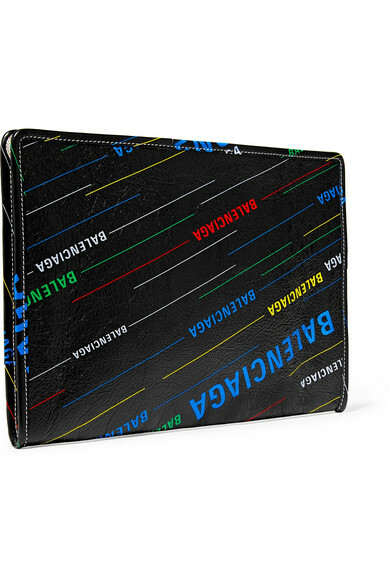 Slip it into your tote or carry it as a clutch. 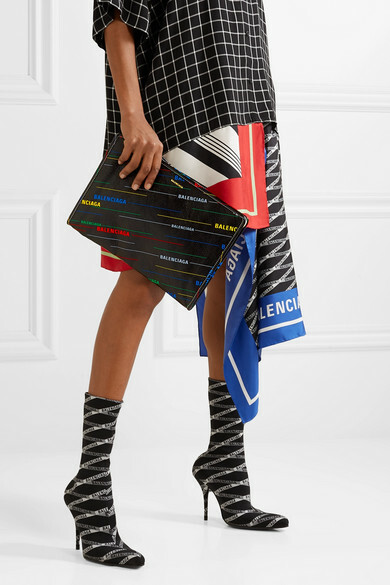 Shown here with: Balenciaga Dress, Balenciaga Sock boots.